A father-of-nine found dead in an alleyway in Londonderry last weekend will be laid to rest following a funeral service tomorrow. 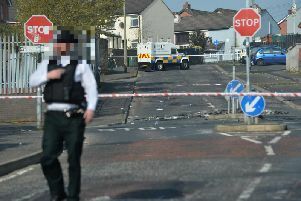 Eddie Meenan was found dead in the Creggan Street area during the early hours of Sunday morning. Three men, aged 19, 26 and 31, have been charged with the 52-year-old father-of-nine’s murder. Requiem Mass for Mr Meenan will take place at 12.30pm at St Eugene’s Cathedral in Londonderry tomorrow, followed by burial at the city cemetery.